Toshiba W30t-A-101 13.3" Laptop Intel Core i3-4020Y 4th Gen 1.50 GHz 4 GB 500 GB. 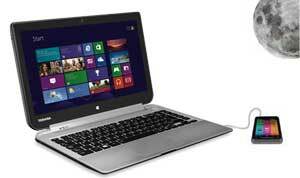 Toshiba W30t is a perfect combination of laptops performance and convenience of a tablet. With its intuitive touch screen, full sized keyboard and high quality speakers and spacious storage it can beat all other tablets from various brands. 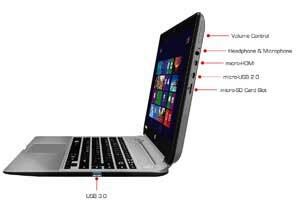 When it is detached from the keyboard it becomes a tablets with large 33.8 cm (13.3-inch) display which allow users to work conveniently with ample screen space, whereas when it is docked to the keyboard it becomes a perfect laptop. The tablet and keyboard dock both are equipped with a battery offering a long lasting life. Either you use it in laptop mode or you use it as a tablet, you can enjoy Windows 8 on both. Enjoy immersive surround sound every time with DTS audio. 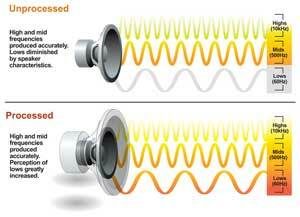 It enhances bass and gives more definition to the audio so you can have a best listening experience ever. It also delivers high frequency detail so you can enjoy clear audio from both, integrated speakers and headphones. 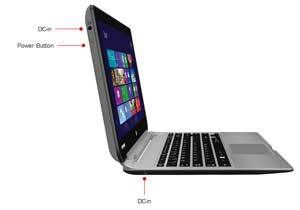 13.3-inch HD IPS touch display lets you take maximum advantage of Windows 8. Having wide viewing angles it lets you see bright and clear pictures from every angle. The screen's capacitive touch technology supports ten-finger contact so you can enjoy games and other applications at their best. The anti-finger print coating resists finger print smudges so you can watch your favourite movies on a crystal clear screen. Get more productivity in less time with Windows 8.1. It lets you keep all your important things to start screen so you can access them without waiting much time. The intuitive and fast design of Windows 8 is basically designed for touch devices. Sharing your data with various devices is not a time consuming task anymore. With USB 2.0 and USB 3.0 ports available in this device you can transfer your data with fast speed. USB 3.0 gives yo9u ten time faster transfer rate that UNSB 2.0. So files which took hours in transferring can now be transferred just in minutes. Toshiba W30t gives you various options of wireless connectivity so you can stay connected even on the go. 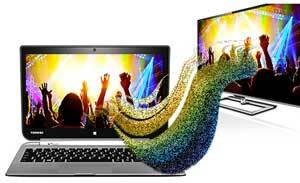 Intel Wireless Display (WiDi) or Miracast technology you can enjoy your online content o0n big screen. Plus Bluetooth 4.0 also allows you to share your data with multiple mobile devices wirelessly. This amazing device is equipped with a micro HDMI port so you can easily connect it with large screen displays for better viewing of your media. Through HDMI audio and video both signals are streamed through one cable which means there will be no clutter of wires as well. Charging your mobile devices is not a problem anymore, thanks to the sleep n charge technology. With the Sleep and Charge USB 3.0 port you can charge your cellphones, mp3 players and other such devices even when the laptop is off. Toshiba Eco Utility is a power saving application designed by Toshiba. When eco mode is active, it shows a power consumption chart which tells how much power is being consumed plus also gives you historical record of power consumption. In Eco mode the laptop works according to ecofriendly parameters by automatically dimming the display brightness, disabling LED and keyboard backlighting, and much more. 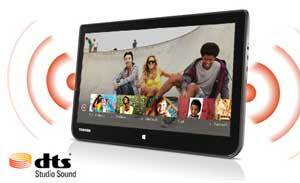 It comes equipped with an integrated HD webcam and mic through which you can enjoy high quality video chats. You can also take clear and sharp pictures or make videos, so no need to but expensive digital cameras anymore.